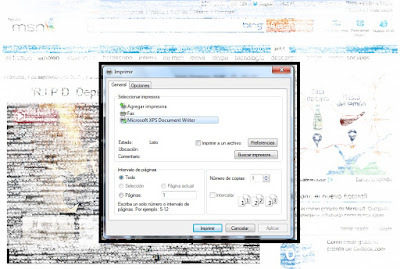 Microsoft XPS Document Writer appers when i try to print one documento in Windows. We connect the printer for the first time to the computer or connect it after you format the computer and printer appears as only available Microsoft XPS Document Writer, it's really because we have installed printers. This is nothing more than a form of files that can be sent without the possibility of being edited, as it only looks like just before printing, it is as if we did a PDF document just before printing. The advantage of this type of file is that any computer can read it as default all Windows computers have this software installed. Anywhere on the computer or either the browser or a document allowing us to open the print window and select this option it is where we apply it. 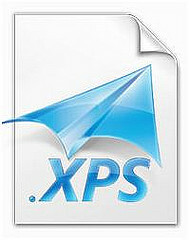 The XML Paper Specification (XPS) document types are very useful documents for when you want to send quick documents or share with another person, hoping that it can not add or remove anything. If we want to create an XPS document from scratch so we can create processors NotePad or WordPad text after having all the written document we just have to go to the file menu select print and the print dialog select Microsoft XPS Document Writer. To create an XPS document completely after click on print and select Microsoft XPS Document Writer as the printer for which we will print a message will appear asking you to name the file and save it in a place. Default this file is saved on the desktop can put the path we like to save the file and then this generated can do with what we consider, from sending Internet to print it on another computer, carry it on a USB stick or upload it Internet. If this document compression is recommended to put a digital signature or a key to it, you can also decide how long the person who is sending the document can see.